Julie’s personal challenge in recent years has been to work intuitively, without sketching, designing or pre arranging elements, resulting in a refreshing and bold change of direction. This deviation from Haddrick’s concurrent works was enhanced through the opportunity to study with one of the greatest 20th century artists, Nancy Crowe. World renowned for her work with colour and fabric, Nancy inspired Julie to embed in the pictorial, decorative fabric and surface design elements, resulting in “Kasuri with five lines”. 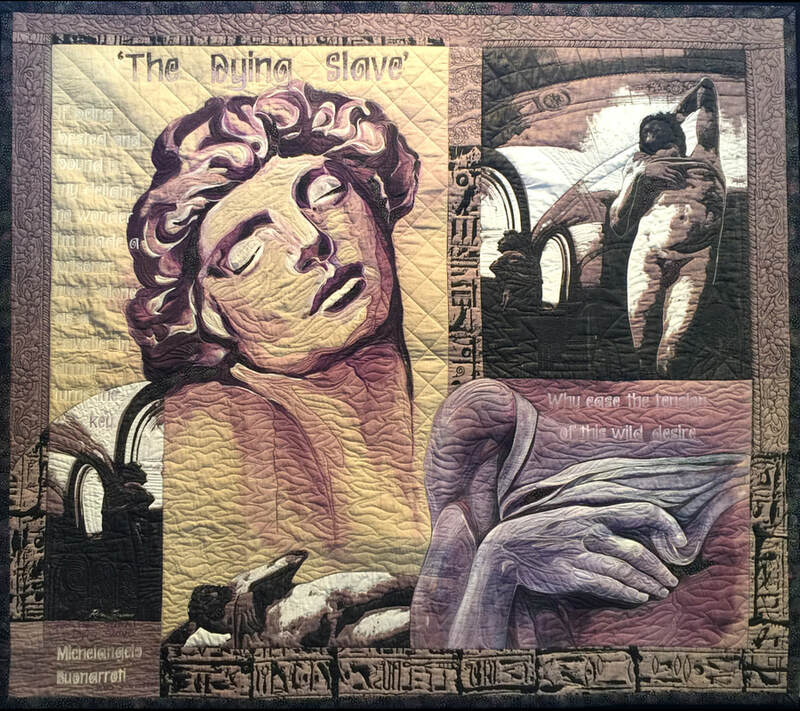 In ‘Loving the man; Michelangelo’s The Dying Slave’, Julies challenge was to incorporate some of Australian Photographer, Reece Scannell’s fabric into a contemporary and personalised art work. Julie chose Michelangelo Buonoratti’s 16th century sculptures of ‘The Dying Slave’ and these became elements of her final composition, as painted and stitched figures. 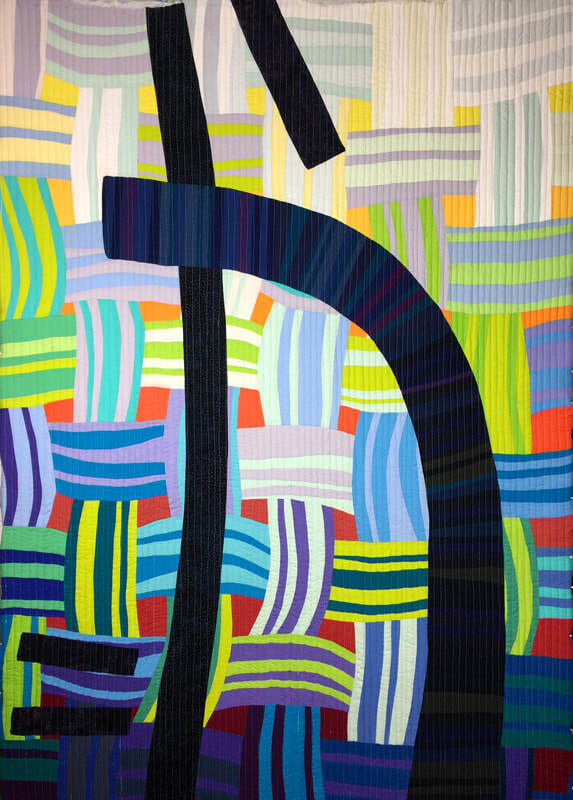 Julie Haddrick is an experienced quilt judge and teacher. Her work has toured in national and international exhibitions. She is a sought after guest speaker, enjoying contributing her experience and ideas about modern, art and contemporary forms of quilting, as well as sharing tales from her extensive quilt teaching travels, knowledge and passion about Japanese textiles and art. But it is the artistic and creative theory underpinning the art of quilting that really engages Julie and she enjoys sharing her ideas and mentoring of emerging artists as well as preparing theory based resources for her teaching and workshops. 10.00am - 4:00pm Friday, Saturday, Sunday, Monday. ​We are on the corner of Port Road and Main North Road (Horrocks Highway) opposite the BP Service Station. 90 minutes drive north of Adelaide, Auburn is the historic gateway to the Clare Valley.